WASHINGTON, D.C. (Oct. 23, 2015) — U.S. 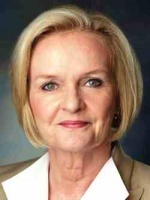 Senator Claire McCaskill, the top-ranking Democrat on the Permanent Subcommittee on Investigations, today released the following statement after the Justice Department’s announcement that it has indicted an additional 25 current and former Guard officials on charges of conspiracy, fraud, and aggravated identity theft in the Guard’s Recruiting Assistance Program, previously found to be a vehicle for massive fraud and waste. Last year, McCaskill led a hearing where she grilled top Guard officials on reports of fraud in the Army National Guard’s Recruiting Assistance Program (RAP), which was administered by the Army National Guard’s former Strength Maintenance Division. She found that RAP was a vehicle for massive fraud by Guard service members, with up to $100 million in potential fraud of taxpayer dollars, and more than a thousand people implicated. McCaskill praised the Justice Department’s additional indictments of five Guard officials last October. McCaskill also led a hearing on reports of waste and abuse in spending on sports-related marketing and sponsorships with organizations such as NASCAR and IndyCar, which was also administered by the same National Guard office under a different name. Following the hearing, McCaskill also sent a letter to Major General Judd Lyons, the then-Acting Director of the Army National Guard, pressing for answers on the Guard’s sponsorship and marketing contracts. In August, the National Guard announced a decision to curtail its spending on sports-related marketing and recruitment with organizations such as NASCAR and IndyCar. Click HERE to read highlights from McCaskill on her fight for stronger accontability in Washington.